OTTAWA - Wireless carriers in Canada have been banned from imposing exclusivity conditions in contracts that forced smaller firms to use more expensive roaming networks. The Canadian Radio-television and Telecommunications Commission issued the prohibition order Thursday, saying it was aimed at enhancing competition in the wireless marketplace. The move prompted an organization that advocates for more open internet services to call on Ottawa to take action to prevent Canada's Big Three wireless giants from abusing their market power. The CRTC launched public hearings last December to see whether some wireless service providers were imposing unjust terms, conditions and discriminatory roaming rates on smaller competitors. The regulator says it found "clear instances of unjust discrimination" by Rogers Inc. through its so-called Communications Partnership. 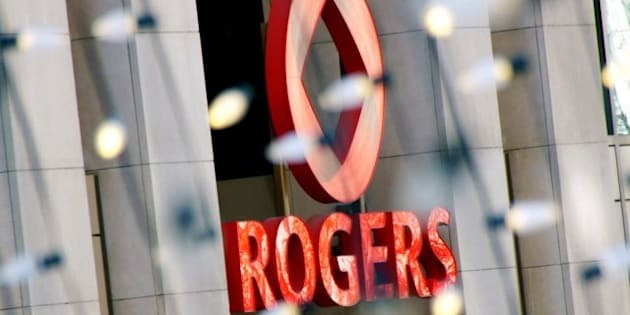 Rogers imposed exclusivity clauses in roaming agreements that prevented smaller service providers from using networks from any other firm, says the CRTC. Rogers then charged some new Canadian service providers significantly higher roaming rates than those offered by other wireless service providers, said the regulator. "Competition in the wireless industry benefits society and the economy by providing innovative communications services at reasonable prices," CRTC chairman Jean-Pierre Blais said in a statement. "But that is only the case when true and sustainable competition is at play." The CRTC is currently looking at the overall competitive state of Canada's wireless market and plans a public hearing on the issue in late September. In the meantime, it has sent a letter to all Canadian wireless providers, asking them how they calculate caps on roaming fees. The current roaming rate system doesn't go far enough, and Industry Minister James Moore should do more to cap wholesale wireless rates, the group OpenMedia.ca said in a statement. "To lower prices for Canadians we need a level playing field for all providers, large and small, said OpenMedia.ca executive director Steve Anderson. "Now Industry Minister Moore and the CRTC need to take the logical next step and consider fully opening the networks, by splitting them from the telecom giants," he added. The roaming cap imposes a limit on how much Bell, Rogers and Telus can charge smaller companies to use their network in locations where smaller providers don't have coverage. But OpenMedia.ca said the price caps mandated by Industry Canada are still 3.5 times higher than what independent wireless providers are paying south of the border. Wind Mobile told a Senate committee in May that it's being charged $1,000 per gigabyte of data for customers roaming on a larger network. It said the cap on domestic, wholesale roaming rates would reduce cell phone bills but "doesn’t solve the issue."